mysql - Check and count if a column value is used in another column of the same table - New and Fresh Private + Public Proxies Lists Everyday! 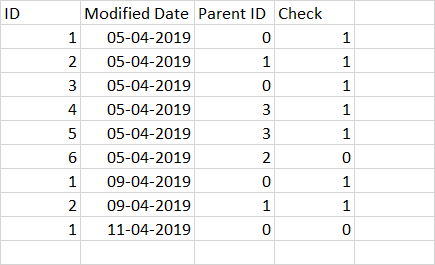 and looking for a result like this, where the last modification date of a particular identifier is indicated, as well as if the check is 1. 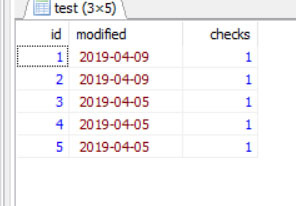 Here the identifier 6 is not in the result because the check is 0, so 1 is ignored because the check is 0, so the 9/4/19 entry is displayed in the result. Then the number of children. it counts the number of times, the parent id is repeated. I really do not want the number of times, the parent id is repeated, but I just want to know if he has a child or not. How to make sure that children count too or just if the id has a child?